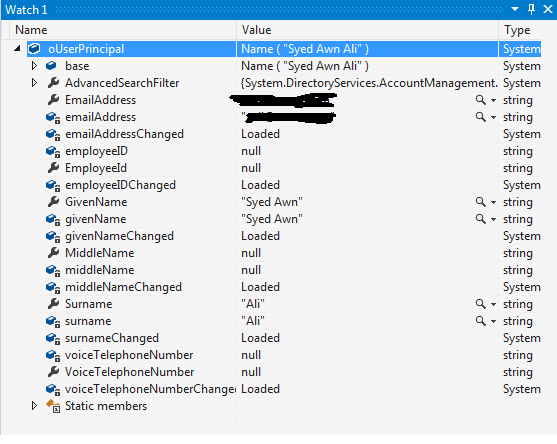 Attach is the picture of active directory, which i got from my IT department. Now i want to get the manager information in C#. 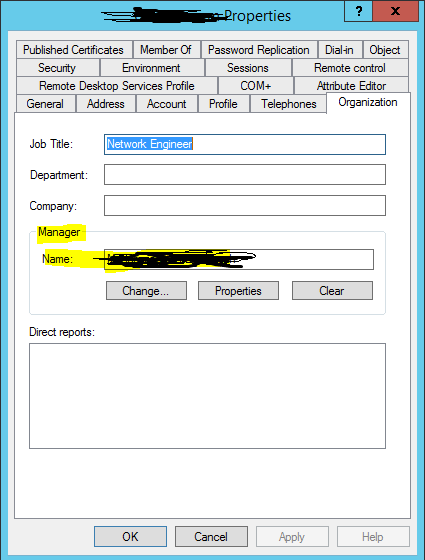 NOTE: I am able to get all information of user but there isn't any key of manager, but IT department just gave me above attached screenshot. So can you please help from where i can get? This is the information, which i am getting from below mentioned code. Filter = "(&(objectCategory=person)(objectClass=user)(sAMAccountName=" + loginName + "))"